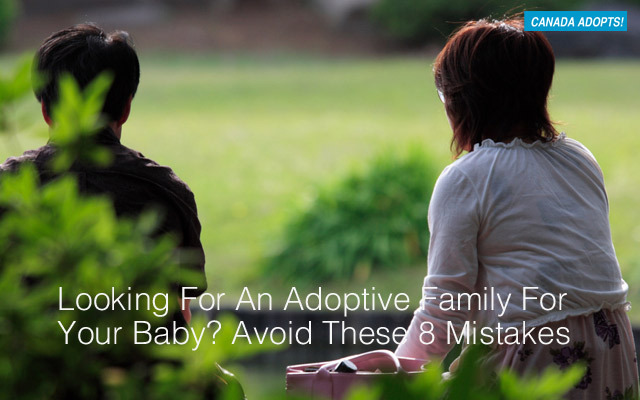 Choosing adoption for your baby is a complicated process. It can also be a rewarding one, depending on your circumstances, the planning and preparation that go into your decision, and what happens afterwards. With open adoption, in particular, you can have a say in many aspects of the pre-placement process, from choosing the adoptive parents to deciding how much contact you want to have with them and your child as he grows up. But that doesn’t mean it’s easy. No matter how you look at it, no matter how much planning and preparation go into your plan or how committed you are to it, placement involves loss and can be a traumatic experience. You’ve probably heard of the five stages of grief that people undergo after the loss of loved one or the end of a relationship. As someone who is thinking of adoption, you’ll experience a similar emotional journey in the months, weeks or days leading up to your child’s placement. If you’re pregnant and not ready to parent, you may be looking at adoption and, eventually, in finding adoptive parents for your baby. Adoptive families come in all sizes, shapes and colours, and there is no shortage of parents who are ready and able to provide your child with a happy, safe and secure future. Whether you look for them online or through an agency, the hardest part of the process will be in finding ones that are right for you. Luckily, as an expectant parent, you can be as involved as you want to be in the selection process. We’ve never met but I feel like I know you. You’ve worked long and hard to start your family. When the fertility treatments weren’t successful—or maybe you skipped them altogether—you moved on to adoption, hopeful that the day would finally come when you would hold your baby in your arms. You completed your home study (if a house could get a medal for cleanliness yours would have won first prize), created your adoption profile, set up a special “We Are Adopting” page on Facebook and Twitter, and have done pretty much everything you possibly can to turn your adoption dream into a reality.